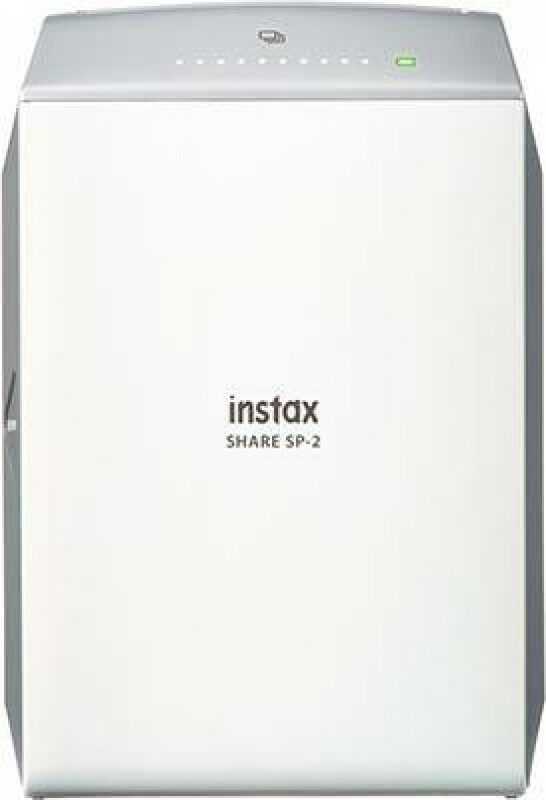 The Fujifilm Instax Share SP-2 is the follow up to the SP-1, a printer which allows you to print images wirelessly from your smartphone (or selected Fuji camera models) onto Instax Mini film. Improvements have been made to printing quality when comparing with the SP-1, and it now prints at 800 x 600 dots, with 320dpi. According to Fuji, this means that you get more detailed gradations - or in other words better detail in your shot. It is available to buy for around £165 (with a 10-pack of Instax Mini included). You can pick up the Instax Mini film for around £14.99 for 20 shots. 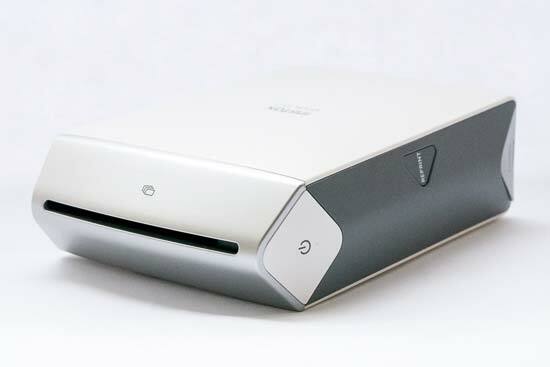 Fujifilm has done well to make the SP-2 a very simple and intuitive product to use. It’s a small device, that fits in the palm of your hand - the resulting prints are made on the Instax Mini format, which measures 54 x 86mm, with the picture inside the frame measuring 46 x 62mm. 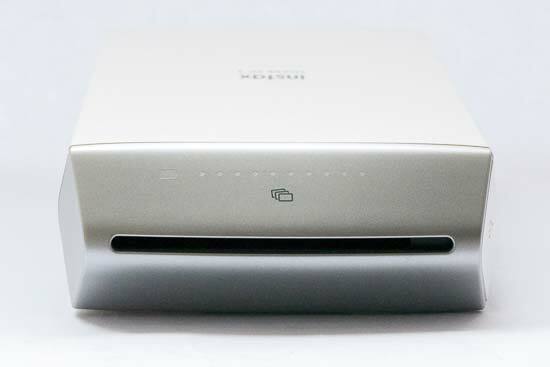 The printer comes with a rechargeable battery which can be charged in-printer via the Micro USB socket which is found underneath a small plastic flap on the side of the printer. It can be a little fiddly to get the flap off, especially if you don’t have very sharp nails, so you may find something like a paperclip is useful to open it. On the plus side, this means that it’s unlikely to accidentally flip open when you don’t want it to. 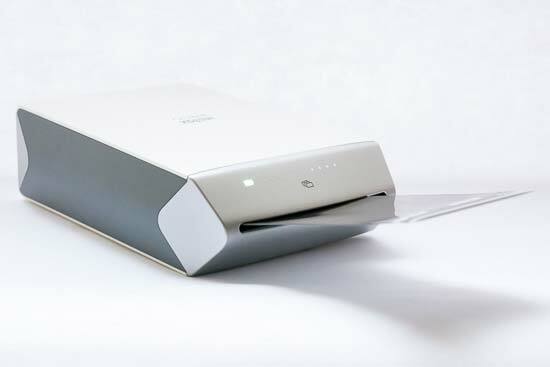 Charging to full capacity takes around 90 minutes, and when it’s plugged in you’ll see the LED light on the front of the printer change colour to indicate which stage of charging it’s at. It will appear red at first, changing to green when it is more than half way charged, and then switching off when the charging is complete. 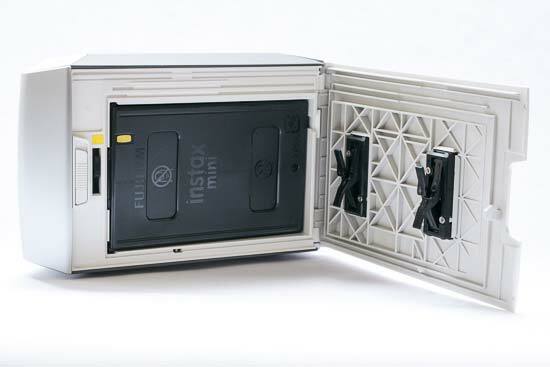 Once the charging has been complete, a printing life of around 100 shots is promised - or 10 packs of Instax Mini film. Loading the Instax film is very easy. You need to unwrap the Instax film from its silver wrapper, open the door on the printer using the lever, align the yellow line on the printer cartridge with the yellow line inside the printer and close the door again. If you have installed it correctly, the black film cover from the cartridge should be ejected. It’s a very quick and simple process that only takes a couple of seconds. It’s important to remember not to open the film door again until the pack has run out as if you do you’ll expose and ruin the film inside and have to insert a new pack. You have ten shots per cartridge, and there are 10 small lights on the front of the printer. The number of lights lit up indicate how many shots you have left. You should also see how many shots are left when you open the Instax app on your phone. Setting up the wireless connection is also very easy. 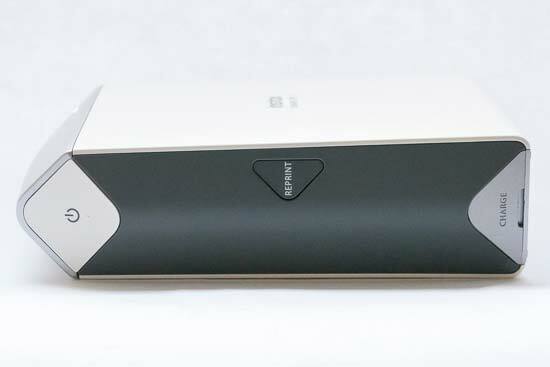 We tested this using an iOS device, but it is also compatible with Android phones. 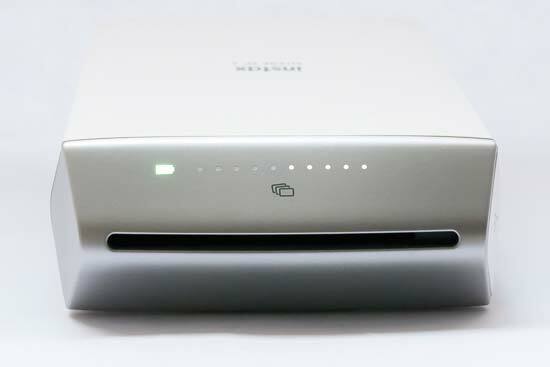 After you have switched on the printer, go to your wireless networks settings area on your phone and select the INSTAX printer. There’s no password required at this stage, so it should connect automatically. Next, head to the Instax Share app (available to download for free) and you will see it asks you to select the printer you’re working with and to enter the password. There’s a default password, but you can change it if you wish. From here on in, you should never have to enter the password again. The Instax Share app gives you a few different options for printing. You can select from the Photos which are stored on your phone - whether that be photos you have taken with the phone’s camera, or other photos which you have transferred across. You can also take a picture from within the app for it to print, or reprint something you have previously printed in the past. You can also create a “real time template”. This means that you will take a picture, and the resulting print will have the time, date and the current weather conditions printed at the top of the shot. You will be unable to print this more than once, as it’s “real time” and only available in the moment that you create it. If you prefer, you can print your photos directly from social networking sites. There is Facebook and Instagram available, and once you’ve logged in once you shouldn’t need to log in again. A slight quirk here is that in order to get the shot from a social networking site you can’t be connected to the printer’s Wi-Fi since you need a connection to get the image you want to print. That means the slightly convoluted process of either switching Wi-Fi off, or switching Wi-Fi network, then switching back again when you’re ready to print. It’s therefore advisable for maximum ease to use photos which are already stored on your phone. However you choose a photo, you’ll be given some options again before you actually print it. By default, the Fujifilm Intelligence Filter is switched on for any photos that have been taken by your phone, but you can switch this off if you prefer. If you click the pencil icon in the top right hand corner you’ll be able to change the template, edit the picture, or apply a filter. There’s a variety of different templates to choose from, including the classic Instax look, as well as being able to add text, create a collage, or add a “seasonal theme” such as “Happy Birthday” and so on. 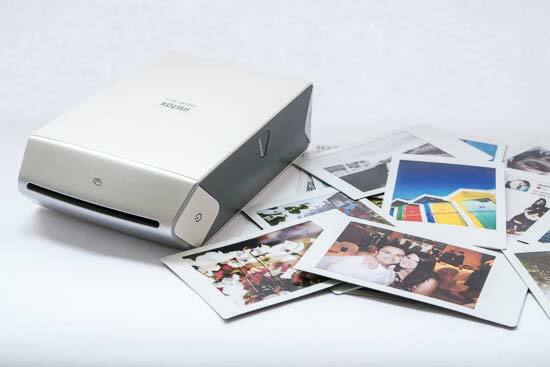 You can also choose to print the photo over more than one piece of Instax, for an unusual look. The filters are quite limited, but you can create a custom filter if you like. In terms of editing the picture you can rotate it, or shrink or enlarge it to fit the paper how you want it to. You can also toggle through the various layout options by pressing an icon to the bottom right of the screen. Once you’re satisfied with how the photo will look once printed out - it is displayed in an Instax frame to give you a good idea, simply press “connect and print”. 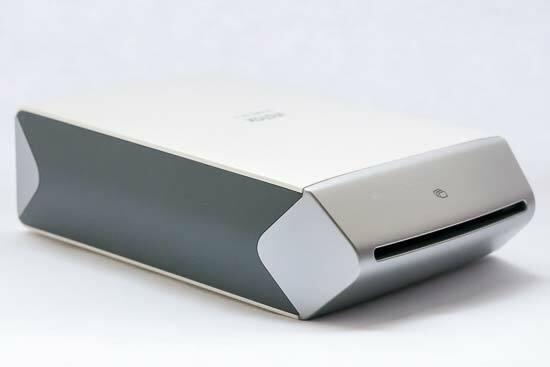 The phone will search for the printer, connect to it and print out. This is usually a very quick process, but if you have taken quite a while to work on your image, the connection may have dropped, meaning you’ll have to quickly flip to your settings to reconnect. The image will pop out of the printer, ready for you to remove it once you no longer hear any noise coming from the printer. You’ll notice that the paper appears blank straightaway. Leave it to “develop” and the image will appear eventually - it doesn’t take long for something to come through, but it will take a few minutes for the colour to fully be realised. In the bottom right hand corner of the app you’ll see that there’s a settings panel which you can access. Here you’ll be able to change a few key things, one such thing being switching off the default Fujifilm Intelligence Filter, but you can also change the access password - this could be useful if you’ve been using the printer at an event and want to change the password afterwards.